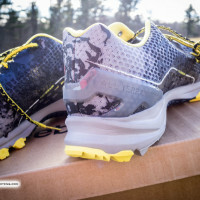 Review: This is my first pair of Innov-8’s following 3 pairs of Gen 1 Reebok trail shoes (1 pair Sprint, 2 pair Super). 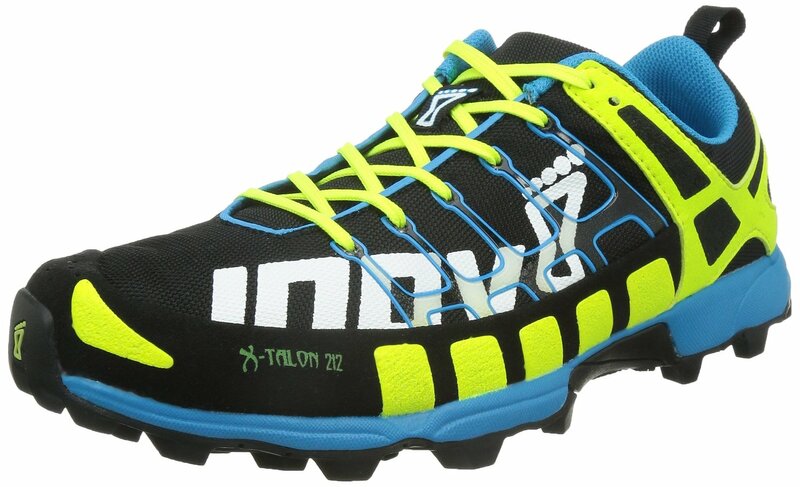 The Innov-8 X-Talon 212 is very comfortable, but a little tight in the toe box going down hill even with the standard fit. There is a precision fit available that is even narrower. 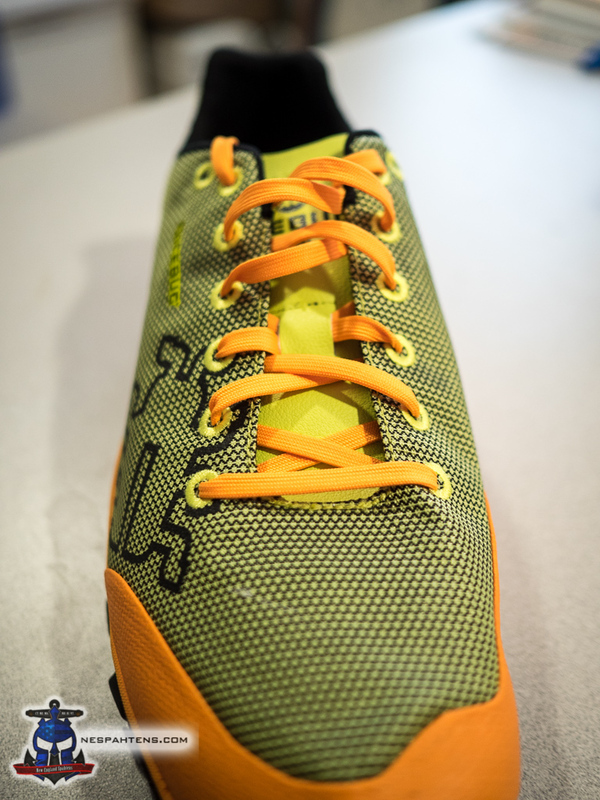 As soon as you set eyes on them you can tell they are a high quality, durable shoe with a lot of grip. The lugs are 8mm and seeing them instilled a lot of confidence about going down steep, wet hills. That confidence was well placed. I’ve logged 21 very technical, wet, steep miles over the course of 2 races in last few weeks. I felt in total control running down some steeper declines that were either wet or just narrow and curvy or both. 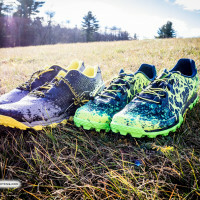 The 7 Sisters Trail Race and Bone Frog New England both posed formidable challenges and the shoes have come out looking almost new after a hose down. They are very light, except after full submersion. 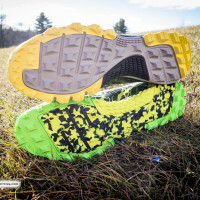 Without drain holes, water is trapped in the shoes and does not “squish” out while running after. Instead it feels like lugging small wet towels around your feet for a longer amount of time than is comfortable. 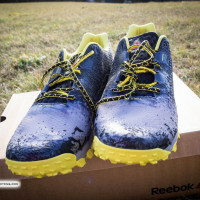 The benefit of no drainage is that they don’t stuck in lots of small pebbles during submersion like the Reebok’s tend to do. 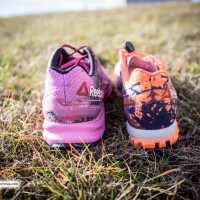 With both brand of shoe you feel uncomfortable either from water or from pebbles in the shoes and only the pebbles in the Reebok’s compelled me to stop and shake out the shoes. Overall, I highly recommend the Innov-8 X-Talon 212. 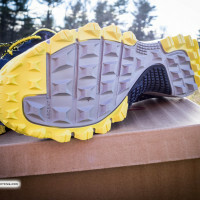 They are tough, mostly comfortable, and built for speed on the trail. 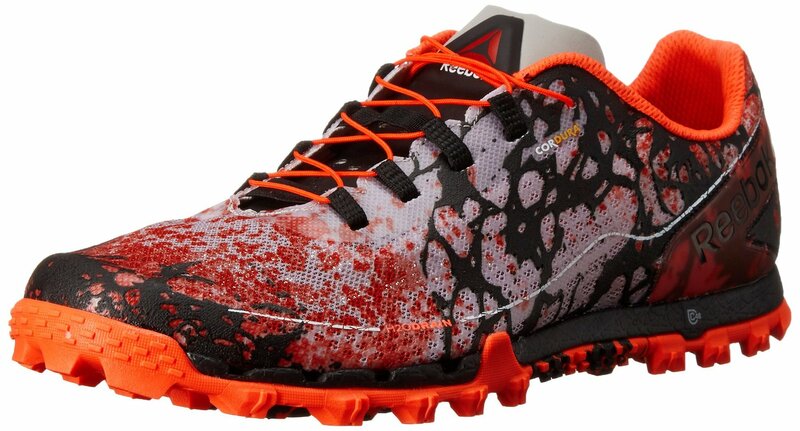 If the drainage issue could be solved they’d be a perfect shoe. If possible try a pair on before buying to see if they are tight around the forefoot. 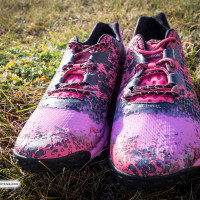 Review: Last year Inov-8 unleashed it’s first shoe truly built from the ground up to tackle everything OCR’s throw at them. 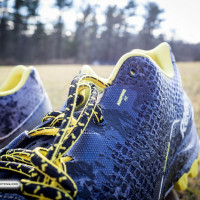 The X-Talon 200’s are the 200g/7oz cousin to the X-Talon 212. 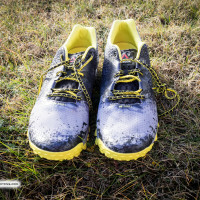 They come with a roomy toe box for your toes to spread out a bit, the ability to drain just a few steps after leaving whatever water hazard you just happened into and lugs to keep to connected to the ground no matter how loose and messy it gets. 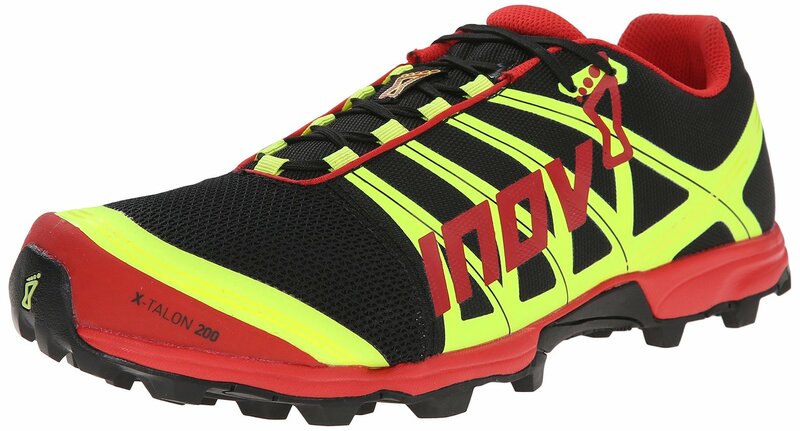 The 200 has a 3mm drop which I find very comfy, not too much and not too little, it seems Inov-8’s goal was to make sure Goldilocks chose these shoes over all else. 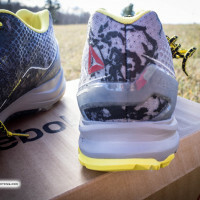 At 6’1″ and 250lbs comfort and support are a huge deal for me and these shoes deliver. 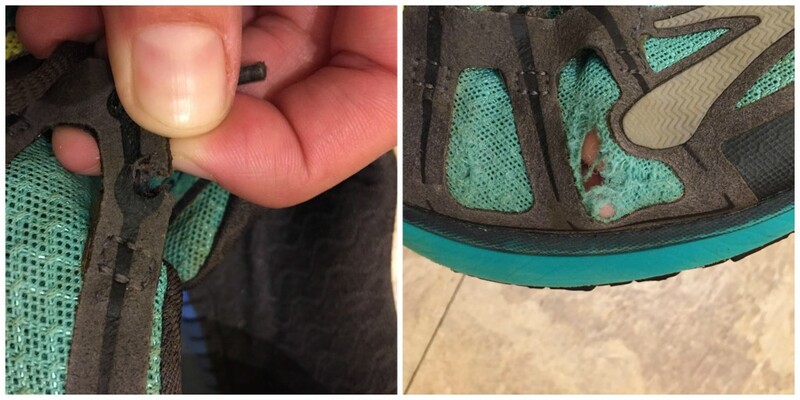 Now here’s the bad, the shoes got me though about 5 races of varying degree (Spartan Sprint, Super, Beast, Battlefrog, Zombie Charge) then when I went for back to back Spartan Super’s in Barre they decided to start ripping where the toe cap met the fabric of the toe box. 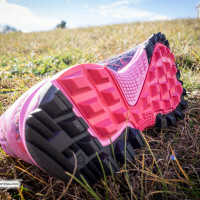 I emailed Inov-8 whom responded with wonderful customer service. They asked for a picture then promptly replaced my X-Talon’s. 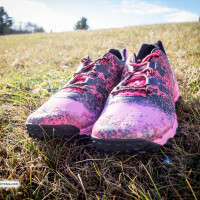 I finished out my season with my new shoes which included a trip to Killington and a few other races then packed my shoes away for the season. 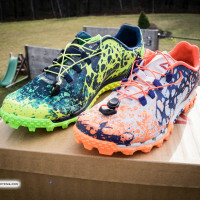 Fast forward to this year I ran both Spartan Beasts in NJ. Day 1: my shoes began to rip in the exact same spot. Day 2: I could clearly see my toes because the rips were so big. 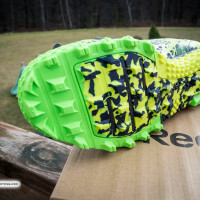 I noticed at this point I was not the only one with X-talon 200’s that had this issue, many on the mountain had the same shoes with the same rips. 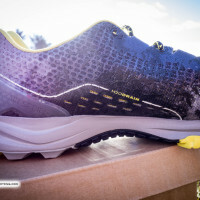 I emailed Inov-8 once more and pointed out what I believed to be a design flaw, I did not ask for replacements but I did want to point out the issue. Once more Inov-8 was very prompt and friendly with responding. Even though I admitted to having the shoes for over a year and my current ones were what was called a,’One time courtesy replacement’, they again apologized and sent me a new pair. 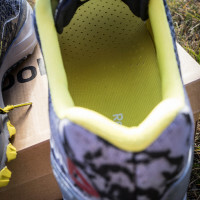 It turns out Inov-8 did acknowledge this as a design flaw and corrected it by swapping the fabric on the toe box with ballistic nylon, a difference you can definitely see and feel. My new shoes have only started their journey and durability tests but I’m confident I will see much better results here. 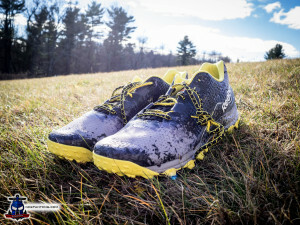 I ranked these high mainly because they truly are the most comfortable pair of OCR shoes I have ever strapped on and even though I have destroyed two pairs I have only paid for one and thanks to the great customer service at Inov-8 I have never missed a race due to my shoes failing. 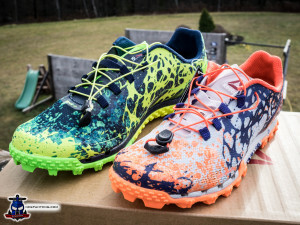 Now if only they could work on a color pallet that doesn’t look like McDonalds threw up on a shoe. 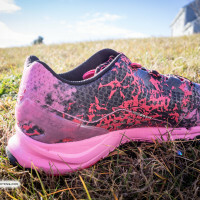 Sidenote: If you are sporting some of those ripped X-Talon 200’s, email their customer support, be polite and explain the damage. You will get a new pair of the new version. 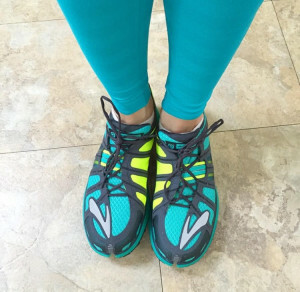 Do you own these shoes? 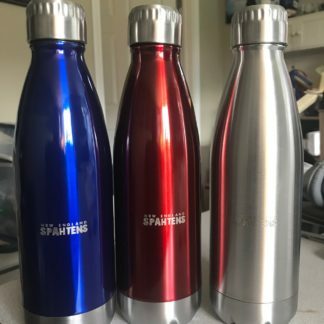 Leave a review below! at them they appear to be made well for drainage. Do you own this shoe? Leave a review below! 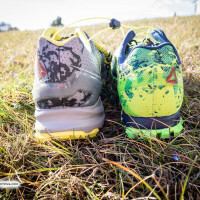 I wasn’t expecting to be putting two shoe posts up in two days – but here we go. 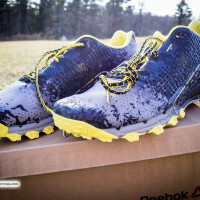 Reebok VERY kindly shipped me the *other* 2016 All Terrain series shoe to look at and write up my first thoughts – and today we got a couple of pairs of the All Terrain Thrill – a new, wider, more plush trail shoe for their very popular All Terrain series. 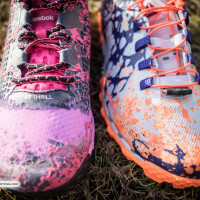 If you haven’t – go take a read of the All Terrain Super OR first look I put up yesterday. 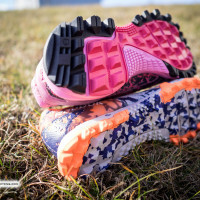 I’ll get into a more direct comparison of the various shoes in due course, but it’s worth knowing what your options are if you’re looking at new shoes for the 2016 OCR season. 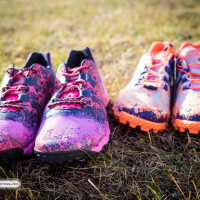 The Thrill is a very different shoe to the Super OR. 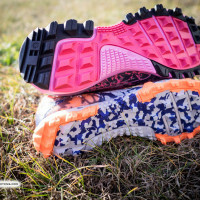 From the bottom up – the tread isn’t as aggressive, the mid-sole is thicker, they use real laces, and a slightly padded tongue – the toe box is wider too. It’s much more shoe. 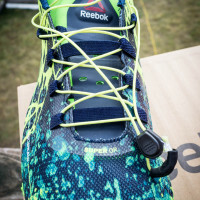 The market for this shoe is for people who need more support – not everyone in OCR is elite. 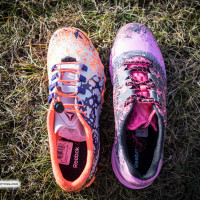 Not everyone needs minimal and fast in their shoe. Some of us need some comfort. 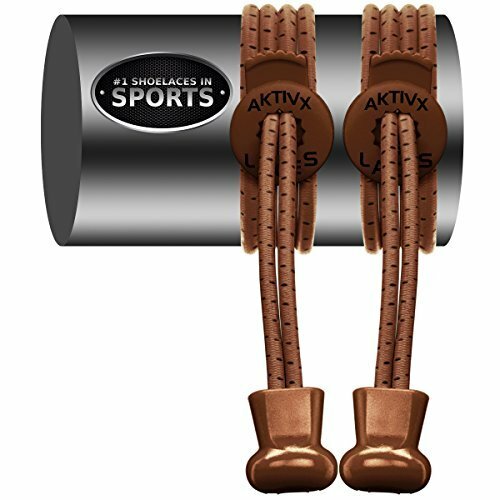 Maybe you run longer distance events, and need more support? 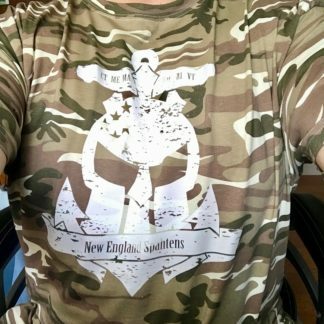 Maybe you’re simply looking for more protection from the rocks. 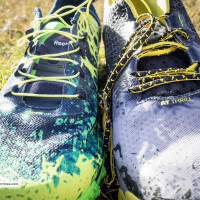 The Thrill does retain Reeboks signature H2O drain, which is easily my favorite feature of the All Terrain – at the cost of possibly letting stuff *into* the shoe, they also let stuff get out quickly too. 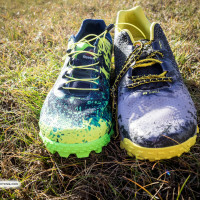 In fact, if you compare it to the early 2015 All Terrain Thunder 2.0 shoe – it’s more comparable. 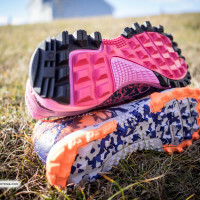 It’s comfortable, but now has the signature All Terrain tread. 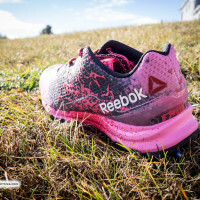 So – which Reebok is best for you? If you’re looking for a comfortable ride – plush midsole and wide toebox, with great grip and drainage – the All Terrain Thrill is for you. 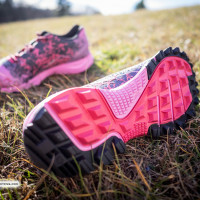 If you’re looking for a light weight, tight fitting race shoe – with grip, drainage and the most durable upper yet, you want the All Terrain Super OR. ed. 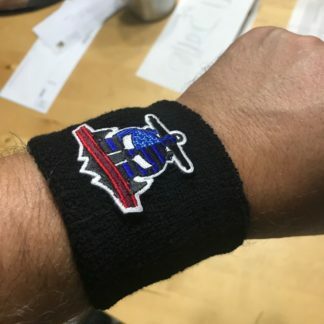 note: Thank you to Kristin Parker for submitting this! I am a huge fan of Brooks Running. Having flat feet with a tendency to pronate, a lot of shoes are tough on my ankles. 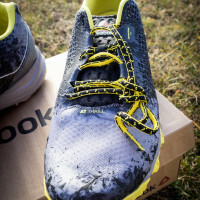 Brooks are always comfortable right out of the box, and they are somewhat environmentally-friendly containing materials that break down easily. 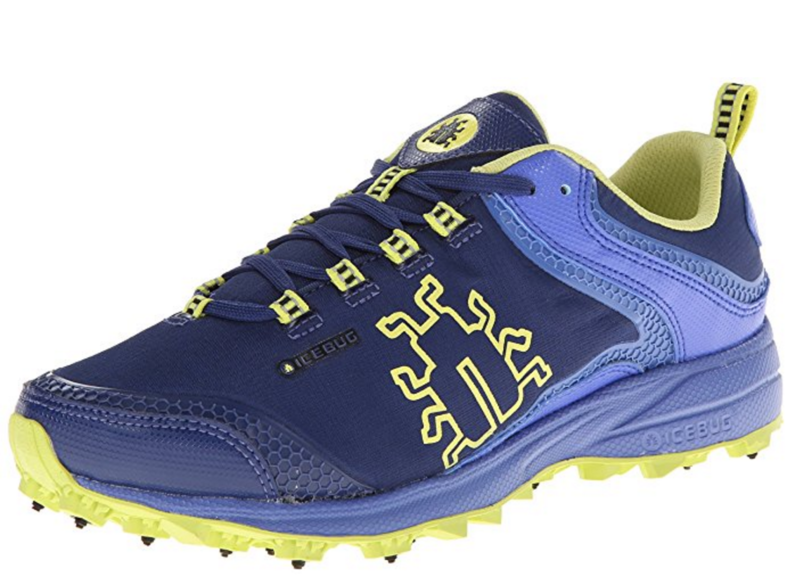 I had a pair of Cascadias back in 2011 for trail running, and I loved them to death. I destroyed them with years of overuse and finally, they shrank from too many washings after my first Tough Mudder in August of 2013. 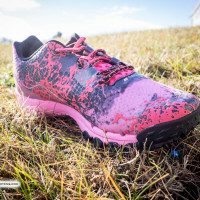 I was worried about having another pair that would shrink since I was planning on upping my OCR game, so I tried a pair of PureGrits from their Pure line. 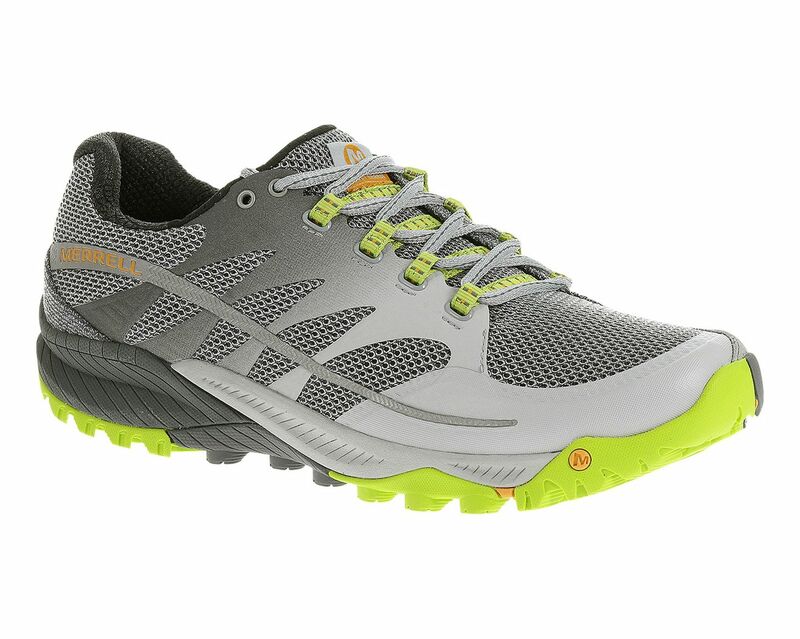 They are more minimalist than the chunky Cascadias, but still have more support than most minimalist shoes. Cons: The lack of reinforcement on the outside of the shoe near the pinky toe leads to wear and tear. I have had two pairs and they have both gotten gaping holes here that I have sewn shut. The top of the heals wear after a few uses. 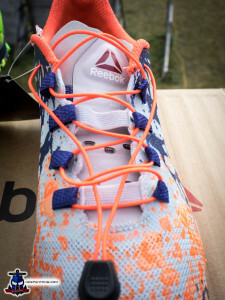 The lace loops are flimsy and if you remove your laces each time you wash your shoes, they will wear until they break. 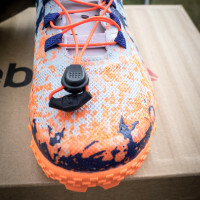 The rear most lace hole near the top of the shoe snapped open when I was tying it before a race. If they other one went, I’m not sure my foot would have stayed in the shoe. I complained about the lace loop breaking on my last pair. 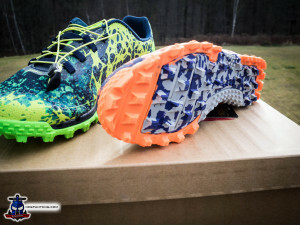 Brooks sent me a brand new pair, but warned me that these shoes are not great for lateral movement. 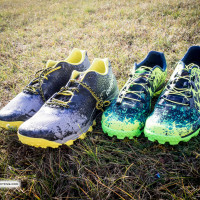 That seems odd to me since they are trail running shoes, and your feet have to be fairly agile on uneven ground. 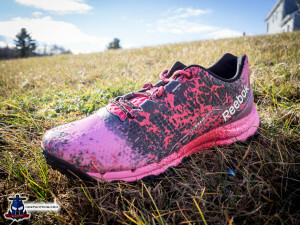 At any rate, I am glad they replaced them, and I only paid $60 for my second pair (last year’s color) and got 9 big OCRs out of them (about 75 miles) this year and some minimal training time. 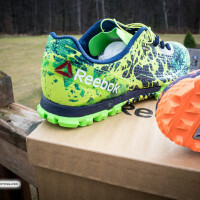 They will now be my sand hill running shoes that I don’t care about. I changed to IceBugs, and I hope they’ll last a bit longer.